No, it’s not in your head. Over 3 millions Americans suffer from anxiety or depression and research has shown that this emotional pain can lead directly to what can be physically debilitating symptoms. 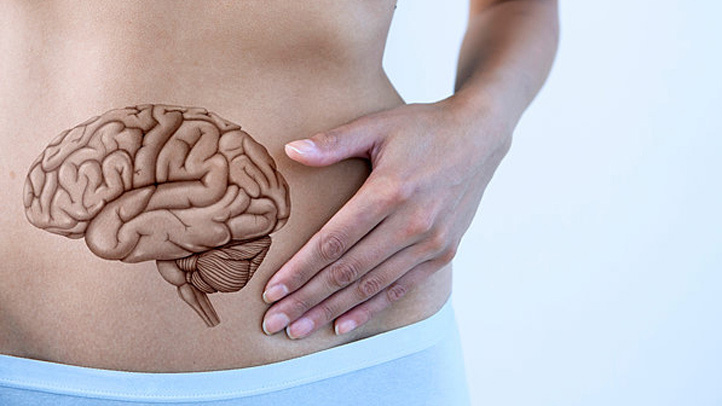 Psychosocial factors can influence the workings of the gut, which means worsening GI symptoms and pain, increased inflammation or even greater risk of infections. The good-news-bad-news story here is that studies have shown that for some people with GI conditions that were not being helped with medications, significantly greater improvements were seen when the patients were prescribed psychologically based treatments instead. How do our genes figure in? Those developments have been positive, yet unpredictable, although that may be changing. In 2007, scientists started work on the Human Microbiome Project, which set out to map the genome of the microorganisms that reside in the human body. Think you have a lot of genes? Compared to the paltry 23,000 genes you have in your body, there are more than 2 million genes in your microbiome alone and clearly that holds the answers to many questions we’ve been asking about human health. The connection between the microbiome and the brain is one of the areas that was brought to light by this study. While we used to think that the blood-brain barrier in the brain prevented bacteria from entering and affecting the brain, we now know that more than half of the neurochemicals — meaning chemicals that affect mood and emotions like dopamine and serotonin — originate in the gut. More than that, mounting evidence in the last 10 years shows that there is a big difference when scientists look at what’s in the guts of people who suffer from neuropsychiatric disorders and those who don’t. For example, one study showed a lower abundance of a specific type of bacteria observed in patients with more severe depression than others. But the real exciting part of this research will be about how to actually use this information to reduce painful GI symptoms, reduce stress, potentially even improve negative psychological issues and make people feel better. Sounds like science fiction, right? Can yogurt change your mood? A 2013 study at UCLA divided up women into groups, one of which received yogurt prepared with a custom strain of probiotics believed to affect mood. It’s obviously pretty difficult to scientifically test someone’s mood, but the researchers were able to use MRI scans at various intervals and the results were exciting. The researchers found that the women consuming the special yogurt had changes in specific parts of their brain related to emotional processing than the people who had no yogurt. Another recent study had similar results when participants received a prebiotic and then had their cortisol levels measured at the end of the experiment. This was to test their hypothalamic-pituitary-adrenal (HPA) axis activity which is often a factor in adrenal fatigue, an important factor contributing to anxiety and depression. The results showed that those who had taken the prebiotic had significantly lower cortisol after three weeks, meaning they showed physiologic evidence of a decreased stress response. The findings also indicated that this group would have less anxiety, similar to what has been observed in some people taking antidepressant or anti-anxiety medication. What does it all mean? Scientists don’t know for sure, but the headline is clear – what you eat affects your gut AND your brain, so you need to pay attention to both. The actionable message is clear that gut health is a key to maintaining a healthy body AND brain. How do you take action now? If you are suffering from a psychological condition for which you are currently taking medication, this doesn’t mean you should stop that and start taking probiotics instead — antidepressant or anti-anxiety medications can be important elements of treatment. But if underlying issues in your gut microbiome are to blame, you won’t heal until you can create some balance in your system. How to know if your digestive problems are stress related? Here are some common symptoms of stress that may be contributing to your GI issues, whether you realize it or not. If any of these sound like you, discuss them with a qualified functional medicine practitioner to see how you can potentially deal with your stress — and your stomach — at the same time. The larger implications of this type of research are down the road, but have exciting possibilities for those suffering from diseases never before thought of as having the gut as a root cause. We’re now in the position to ask such big questions as — “Is a disease like autism a disease of the brain or is it possible that it’s a disease of the gut or some other area related to the function of the digestive system?’’ With the dramatic surge in interest in the gut microbiome and how it can be applied to human health, answers to big questions like this might not be science fiction after all.